Did. Not. Finish. They’re an ultrarunner’s three least-favorite words. Unfortunately, the numbers don’t lie. Examine the finishing rates of the 127 100-mile races listed on Stan Jensen’s site, Run100s.com, and most hover near 50% and drop as low as 3%. It doesn’t matter if the event is new, established, large, or small. There are always high causality rates. Roughly half the starters of the 2013 Leadville Trail 100 Mile Run did not finish. While we may blame altitude and mountainous terrain, what happened at the other races? For example, look at the results from this year’s sea level and relatively flat Rocky Raccoon 100 Mile Endurance Run. Onlookers and participants suggest weather contributed to the four out of every 10 runner DNF rate. Simply put, the chances of not crossing the finish line in an ultra are high and the likelihood increases as the distance of the race grows. Whatever the reason for it, a DNF is often demoralizing and can lead to a poor mindset in the ensuing days, weeks, or even months. Since the reasons for dropping out of a race are plentiful and, in some cases, out of our control, it’s important to know how to manage the aftermath of such an unrewarding race. The most successful ultrarunners deal with DNFs. Let’s hear some of their stories, commiserate, and learn from them. Look no further than the author of this piece. I have DNFed race distances from 50k to 100 mile. The Vermont 100 Mile Endurance Run was my first DNF in 1995. 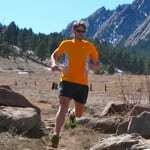 After eight years of high school and collegiate running and less than a year’s experience in the ultra world, I found myself puking for the first time. I thought I was dying! I quickly had the bracelet cut from my wrist. Two hours later, I was already feeling much better. I really wasn’t dying out there. I regretted my hasty decision and should have been more patient before calling it quits. I realized ultras were nothing like college cross country. I still vomit occasionally during a long event, but now I know it’s a sign to take better care of myself, not necessarily a reason to drop. To this day, I still kick myself for DNFs from more than seven years ago. In 2007, I struggled with some nasty muscle issues that led me to end my day at two of my favorite events, the Western States 100 Mile Endurance Run and the JFK 50 Mile. Instead of running within the limits of my compromised hamstrings, I let my ego control the races and I ran too aggressively from the start. My frustrations about not being able to run with the frontrunners not only further destroyed my hamstrings, but also prevented me from getting to the finish line in both events. Now I know better and I only toe the starting line when I’m healthy and truly prepared mentally and physically to cover the distance. “I was vomiting horribly and I was cramping severely,” recalls Bend, Oregon, ultrarunner Rod Bien. “At one point, I tripped, fell off the trail, and could not get up as my legs kept seizing up with cramps as I tried to move.” A few miles later, he would call it a day at the 2013 San Diego 100 Mile Endurance Run. As you can see, nobody plans for a DNF, but how you handle it makes you a better athlete. Below are some key points to remember if you do decide to drop at your next event. You aren’t alone. The DNF can be a lonely place. Know that many runners DNF, even the best. In time, it’ll be an experience you’ll talk about around the proverbial campfire. Experience catharsis. Cry, yell into a pillow, or punch the air. Release the emotions and frustrations that are associated with your DNF. Let others know about your feelings so they understand why you may be acting the way you are. Get back on the horse. Don’t dwell on the past. Put the bad race behind you by scheduling your next adventure. Though rudimentary, I referred to this list before returning to the race in 1998 and it helped. I followed my own advice, finished second, and set a 100-mile personal record. Do your damnedest to avoid a DNF. Prepare for the unexpected, train intelligently, practice your nutrition routine, test your equipment, and drum up the support of family, friends, training partners, and coach. Bien wraps it up perfectly, “Man, when you have a great finish that really is a special feeling. Afterwards, the beer tastes better, the finish-line festivities are more fun, and it’s a satisfying trip home. It’s inspiring to overcome personal demons and tough moments out on the trail.” The game we play is brutal. We’re bound to face setbacks when we test our psychological and physiological limits. The DNF is a result of us knocking on that door. Next time use a battering ram! Okay, okay, let’s hear it, your DNF story. And perhaps more importantly, let’s also hear how you learned from that experience and grew as a runner. What in this article rings true to your own experiences? And what is something new that you will take away from Ian’s advice here? This is a great article that really rings true for everyone who does these events: front runners, mid packers, and back of the packers. 1. I went too fast. 2. I let what someone else said influence what I did that day. My DNF was not the "smart move". I wasn't hurt. I was mad because things weren't going the way I thought they should be going, not that I was looking to win or even place well. I was just off my pace and failed to make adjustments. I think your article is dead on the money. I have been struggling with my own DNF with my first 100 miler this spring. I had terrible stomach problems that forced me to not be able to keep anything down for several hours. I came into an aid station at 57 miles completely annihilated. One of the volunteers kept telling me just to sit, eat and get back out there but I didn't want to hear it. I did some mental math and told myself that I wasn't going to make cutoffs, but it turns out that in my hazy mental state my math was WAY OFF!!! I called it, got a ride back to the start/finish line and was able to help volunteer (it was a looped course) and got to see a lot of people reach their goals. It was certainly rewarding in that regard but I lived to see another day and that is the most important. I never trust my math skills while running. That was another mistake I made in meltdown. I ran a 50K in February on the same course as the 100 miler that I DNF'd. The 50K was on the hardest section of the 100, in my opinion, and it was in reverse, which is a little harder than the north to south route the 100 takes. Anyway, I just totally ignored the cutoffs. I barely looked at them before the race. I just ran/walked the course and finished in plenty of time feeling pretty good. The real numbers are usually better than your mental calculations on the go, especially when you are out of it. The hand-written list at the end was the best part of this (otherwise very good) article for me. It’s really interesting to see that someone with Ian’s Palmarés still battles the DNF monster the same as the rest of us… even if at a quicker pace. Thanks for writing this! Thank you for the article! Great read for those looking to increase the miles eventually and even race, not run, a 100 miler. I'm from Costa Rica and my first experience with DNF was not even in a short trail race, was during a 13.1 flat as hell, nice weather, road race… after that aweful episode (filled with tears, vomit and some blasphemies), I sat down in my home to wite down what happened and the only mistake was that I didn't train properly! I had the nicest gear money could buy but I didn't have the training required, so far we only have one 100 miles race (actually 155km and was a mess in the first edition), but in the 100 km's and 50miles races that we have I've noticed one common factor in the DNF's and it is not related to terrain, altitude, food, etc… it is that there is a lot of people running ultras without the propper training and that's at least the 50% of the DNF's down here. Thank you again for sharing your experience with us! In the many ultras (and marathons) that I've run I had to DNF only once, and I haven't regretted it for a moment. It was the 2012 SUPERIOR 50M race and I was completely wasted by half way. I have gutted it out though many tough finishes, but this was different. Not sure what was going on that day- no acute injuries but it was horrible, terrible, and painful from the start. Sometimes it really is the right decision and then it can be easy to accept. DNF'ing gave me the chance to get a ride to the finish and cheer on all my friends, which was a special opportunity. Thanks for the great article! There are DNFs and then there are DNFs. I've DNF'd about 10 times over the years. About half of those DNFs were physical – something had gone seriously wrong and on that particular day I wasn't physically up to the challenge of making it to the finish line. Those DNFs I'm totally at peace with. Another handful of times I mentally quit on the race. Yes, those days were physically challenging – much like Scott Jaime's Miwok, I wasn't having anywhere near the race I had hoped to have – but not so challenging as to keep me from moving forward. I probably could have – and should have – continued and made it to the finish line in a time much slower than I wanted. But I didn't; instead I quit. Those DNFs still stick in my craw many years later. So, the advice from here is to give it your all – truly your all – and do everything you can to finish. But not at the risk of doing permanent or serious physical damage. Ian's number 10 – the race will be there next year – is always in play. And, in the famous words of Suzi Thibeault Cope, "sometimes 'DNF' means 'did nothing fatal.'" Great article! I'm 8 of 12 at the 100+ distance. I kind of like DNFs. It means I still have work to do to figure this all out. Like Rod said above, each DNF (or poor performance) lights a fire under my arse to do it better next time. That doesn't necessarily mean that I have to train harder or run more miles. Most of the time it's meant that I have to train and race smarter. It means I was wrong about something I thought I knew, and now I get the chance to figure out what that was. I actually get more down after "good" races–where I do better than I thought was even possible (there's only been a few of those). Just remember, we're the lucky ones that even get to try these things. To even stand on the start line means you've already won. These things we do are pretty special, and there's a pretty special group of people that keep coming back. So at 68 I DNF'd my first race at #VT1002014. It sucked, but truth be told, I probably should not have started. I had been toying with a funky hip flexor for a couple months, but was always able to run through it, even thru long B2B's. I figured I could take a couple miles to warm things up and then settle into cruise control. Everything was going well; running an hour or so ahead of the cuts and feeling good. After a long downhill into an AS at 25, I drank some coke, took about 3 steps and the wheels came off. I hobbled a couple miles up the trail while most of the back of the packers passed me. Was was barely making any forward progress. It became pretty clear I wasn't going to be able to make the cuts at this point, so I said screw it. I pulled the plug before some AS Capt. had to. It just made no sense to keep torturing myself. Great article. Still feel like a quitter, but I'll get over that as rehab progresses. Great article – agree there with TJ above… there is a big difference between the justifiable DNFs and the ones that you give up too soon or just plain quit. The latter are the ones you never forget. I love Ken Clouber's pre-LT100 talk wherein he states that if you DNF, you'll spend the next week trying to explain it to your family, friends, and co-workers and the next 364 days regretting it until you can try again. I would be curious, Ian, if the 100 mile distance is more challenging to you b/c of your accomplishments at this distance over 2+ decades. In other words, been there, done that when the little demons start whispering "why suffer out here all day and night?" Great article and words to live by. Thank you for making all of us remember that these are just races and there is more to life than winning and being the best. Reflection on what went wrong is the key to moving forward…we are all human and make mistakes. Keep positive and optimistic for the future. Great article! I recently DNF'd at 28 miles in my first 50 miler due to stomach problems, and it's my first DNF ever. After that disappointment I'm really thinking about it as a learning experience, and looking at what DID go well (legs felt great, no other pain or irritation, and what a beautiful course, etc). I've started seeing a sports nutritionist to sort out this issue once and for all as it has haunted me in races past. I'm signed up for another 50 in two months, so I like the idea of writing down everything down in a Takeaway list. Thanks for this article as a reminder that DNFs happen, and to really focus on learning and moving on to the next experience! Note to self: quit carping about quitting. I had, after all quit lots of stuff before without regret or recrimination. I quit eating a monster steak once. I quit a couple of jobs, a junior high school football team, a marriage, and a couple of ultras. DNFing can be purposeful (and sometimes laughable). I was done with those things and wanted to move on. One of the ultras I quit was a mere 50-miles… I was leading with just one-8 mile road loop to go. I had won the same race the year before and was both sick of it and ready to move on to the next phase of my WS100 training program. I heard several discouraging words from my friends as I packed it in… but didn't let that bother me. I was on a mission to return to WS after a poor performance there with an injury that had me limp in from Foresthill in 25 and change. I was much more successful in my return engagement, so the DNF was well worth it! Later, I successfully DNF'd 3 times at Hardrock before I finally succumbed to a 47:59:35 finish. I used to tell people that any miles at Hardrock were worth a DNF. It was that beautiful! Yes, I learned to quit carping about my (or anybody else's) DNF. I learned that, finish or not, every moment is its own reward. I have over 150 ultra finishes and 9 DNFs. Of those 9, 5 were in 100 milers and 4 were in sub-100s. Eight of those 9 DNFs were a physical decision, while one was a mental decision. But regardless of the reason, each DNF decision was absolutely the right decision at the time. I made up my mind, DNFd, and that was that. Once I was done, I didn't mull over my decision or beat myself up for it, as neither of those would have done anything to change the outcome. Of course I try to learn from each DNF and change what went wrong. On the plus side of a DNF, 9 out of 9 times, my next race after a DNF has been a great race. I've DNF'd twice — Vermont 100 in 2013 and Miwok this year. VT was purely physical — the wheels had inexplicably come off by the 50k mark. Miwok was more about physical depletion combined with frustrated goals. Hell, I was only 13 miles from the finish! So what if it was going to get dark and I was way way at the back of the pack? I kicked myself for weeks after, both for a poorly executed race and a poorly grounded decision to quit. By contrast, my finish at my first 100 at Zion last year could easily have been a DNF at mile 52 (I was destroyed), but reasonable goals and a pure desire just to finish allowed for a long aid station stay, which completely rejuvenated me. So, the lessons are not to worry about goals and to enjoy the journey. Allow time for vomiting, rest, recovery, and re-birth. The value of finishing, even if later than planned, cannot be underestimated. Look at Scott Jaime's 2010 Hardrock finish described above — or Tim Olson's this year. Sometimes the body will just say no, but those DNFs rarely bring the same kind of regret and recrimination as the mental ones. Just attempted my first trail ultra and unfortunately twisted both ankles bad in a 3-1/2 mile scree portion and then had no strength in a 3-1/2 mile uphill portion. Got to the 34 mile mark of a 52 miler and had 3 minutes to get in and out of the checkpoint and realized I had no more strength in my ankles and ripped my bib off in total disappointment. This was a huge letdown and not what I expected but I have already signed up for my next adventure and know what I need to train for to attempt this race next year. These words really helped and are part of my healing process. My first DNF was from getting way off course in a mountain trail marathon. I was a newbie to trail running and enjoyed the course so much I just didn’t pay attention to the course markers (or lack thereof). I was deep in the Sierra Nevada mountains and had to be rescued out. My second DNF was from not being able to meet cutoffs. I was still very much a newbie and took so many selfies while out in the wilderness. My shoe gaiters fell off and I walked up a steep hill for a quarter mile looking for it. I jogged the course very oblivious to the cutoff. I didn’t study the race well enough. There are a few more DNF stories, some from just being too slow to meet cutoffs, some from GI issues. I try to enjoy the learning process, be grateful to the opportunity to be out there, and learn from the situation. I take a Delorme tracker and satellite device during training and racing. I study maps and bring one with me. I work with my nutrition. I even hired a coach to get more fit. Ive grown as a runner yet there are more lessons to learn. And it is this: The most memorable DNF is the one I didn’t take. I kept running Canyons 100K despite starting the race with a limp, and couldn’t be bothered to listen to my body and be honest with myself. That was the hardest lesson I learned. I am still recovering from a pelvic stress fracture. I think a DNF is a mindset. I truly enjoy the process of racing and training. It reminds me there is room for growth, and stay hungry and humble.